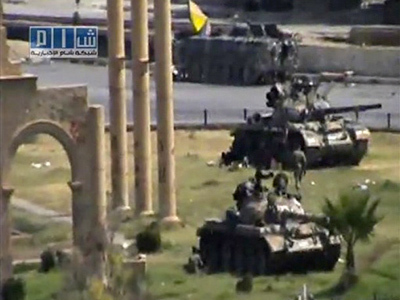 At least 38 people have been killed after Syrian tanks launched an offensive on another rebel town on Sunday. The attack came as the UN appealed for an immediate halt to violence in the country. Syrian troops stormed several other cities on Sunday raising the overall death toll to 69, according to Reuters news agency. Meanwhile, Agence France-Presse reported about 52 victims. Over 100 are reported injured. Just before dawn on Sunday, about 250 tanks and armored vehicles entered several areas in the city of Deir al-Zor in Syria’s northeast, AFP news agency quoted the head of the Syrian Observatory for Human Rights as saying. Rami Abdel Rahman said that shelling was coming from at least three different directions. According to the Local Co-ordination Committees of Syria, Assad’s troops entered at least nine areas of the city, which was rocked by several powerful explosions, the agency reports. 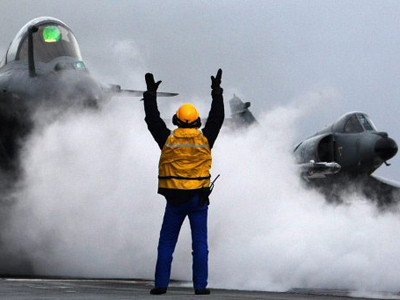 Meanwhile, Syrian military sources have denied that its tanks have entered the city of Deir al-Zor, Al Arabia reports. The development came just hours after the UN Secretary General Ban Ki-moon urged the Syrian authorities to stop violence against civilians immediately. In a telephone call to Syria’s President Bashar al-Assad, the UN chief expressed his concern at recent events in Syria, which have been marked by mounting violence and a rising death toll, UN spokesperson Martin Nesirky said on Saturday. Assad had, up until that point, refused calls by the UN head for months. 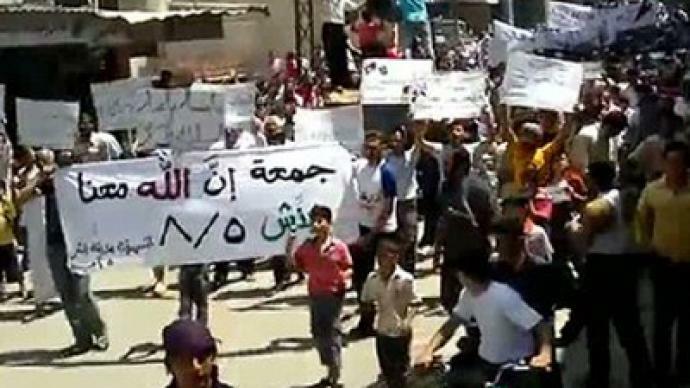 The Arab League has also issued a statement in which it expressed "growing concern" over developments in Syria and called on the country’s authorities to put an immediate stop to acts of violence against the protestors. 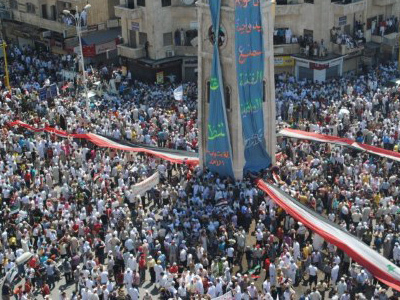 On Saturday, the Syrian government pledged “free and fair” general elections by the end of 2011. The term of the current parliament expired earlier this year. However, shortly after the announcement the authorities arrested Walid al-Bunni, a prominent opposition figure and former political prisoner, and his two sons. Earlier in the week, President Bashar al-Assad issued a decree which opened the way for opposition political parties to operate in the country. The opposition dismissed the move as a ploy to placate protesters. Other world organizations and individual nations have joined with the UN in expressing their strong reactions to the events unfolding in Syria. 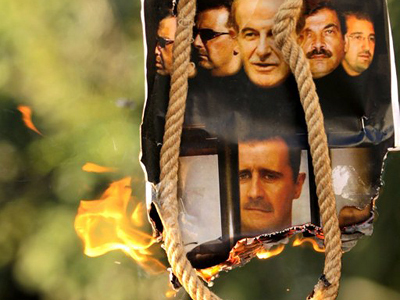 On Saturday, the six-nation Gulf Co-operation Council demanded an immediate end to violence and bloodshed in Syria. The call came after the leaders of the US, France and Germany had condemned the Assad regime for continued use of violence and agreed to consider steps to “pressure” the Syrian regime and “support the Syrian people,” according to the White House announcement. 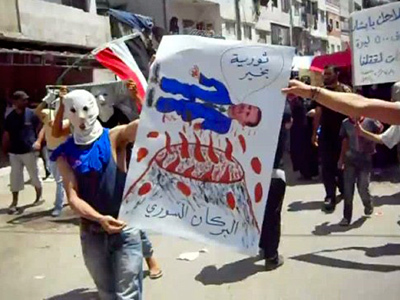 Over 1,600 civilians have been killed and thousands arrested in Assad’s crackdown on protesters since anti-government rallies began sweeping across Syria in March. In the latest attacks on Friday, 22 people were killed, including seven after special evening prayers for Ramadan.